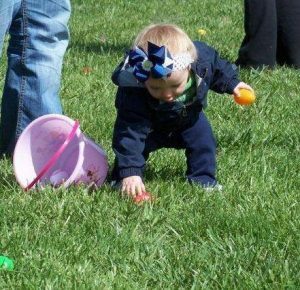 The Pittsburg Parks & Recreation Department is gearing up for its ninth-annual Easter Egg Hunt. Set for 11:00 am Saturday, March 24, at Lincoln Park and Don Gutteridge Sports Complex, this event is free to the public and open to children ages zero to nine years. Volunteers will finish stuffing more than 10,000 Easter eggs with candy and small prizes this week, in preparation for the event. Hosted by the Pittsburg Parks & Recreation Department and sponsored by the Pittsburg YMCA, McDonalds and Pittsburg Area Young Professionals, this event draws families with young children each year to gather brightly-colored eggs, filled with tasty treats. To make the egg hunt fair for each child, separate zones will be designated for children in each age group. Children ages zero to two years will be at Stice Ball Field, three to five-year-olds will be at Russell Ball Field, six and seven-year-olds will be located at J.J. Richards Band Dome and eight to nine-year-olds will be west of J.J. Richards Band Dome. Carnino Ball Field will be set up to accommodate children and adults with special needs. The event is expected to go quickly, with all age groups hunting for eggs at the same time in each location. Parents and caregivers who plan to bring multiple children of different ages are encouraged to plan ahead and bring extra help.